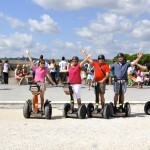 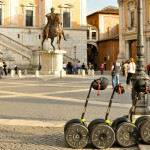 Interested in a Private Segway Tour? 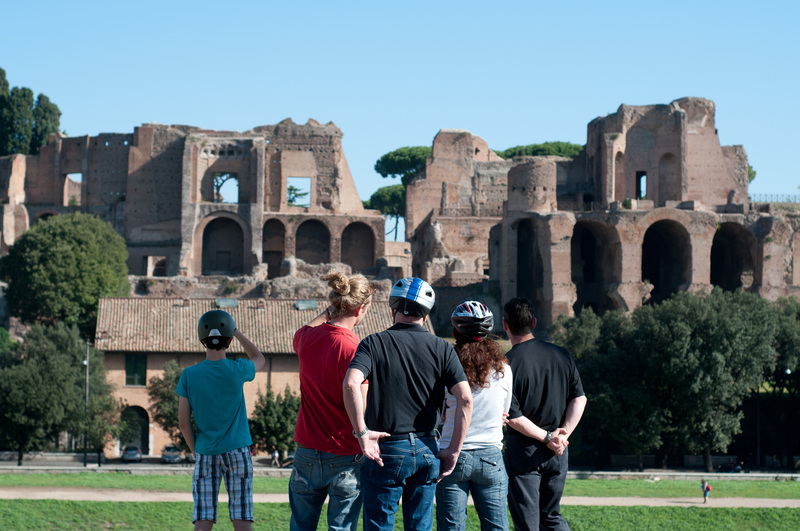 Just select one of the ‘Private’ options in the “Option” drop down on the booking form. 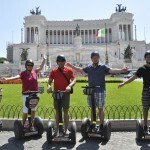 Cost is 280€ per person for a minimum of 2 people. 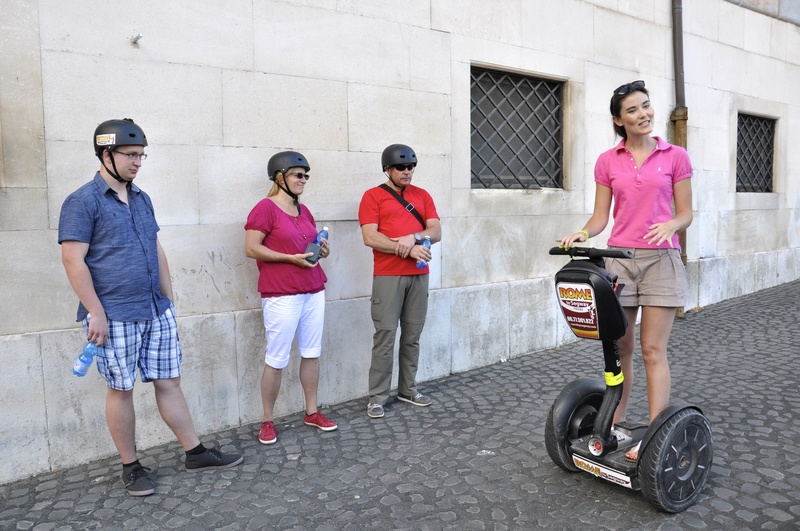 Note: It is not possible to book a private tour together with discounts or promotions. 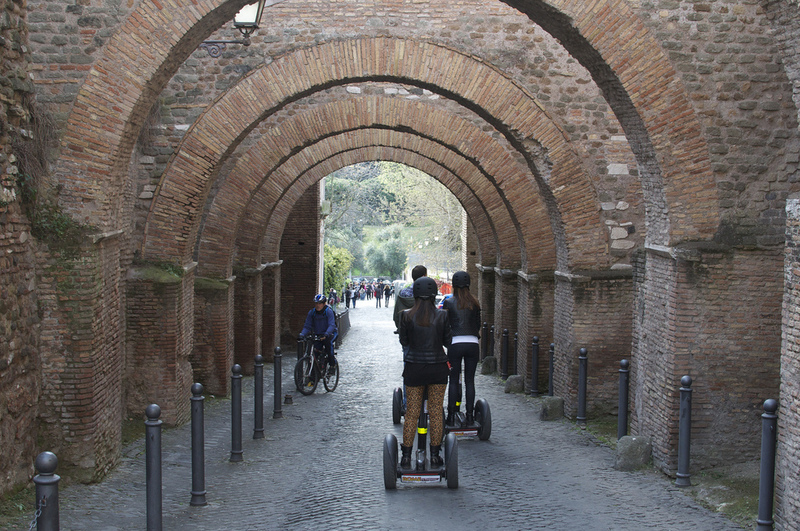 Rome is brimming with incredible sights to see – and when you don’t have much time, they can seem like too many! 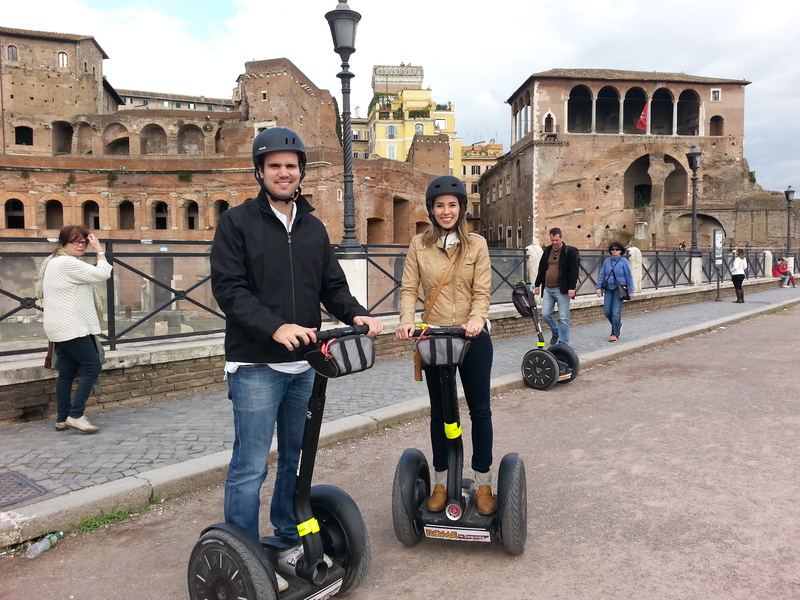 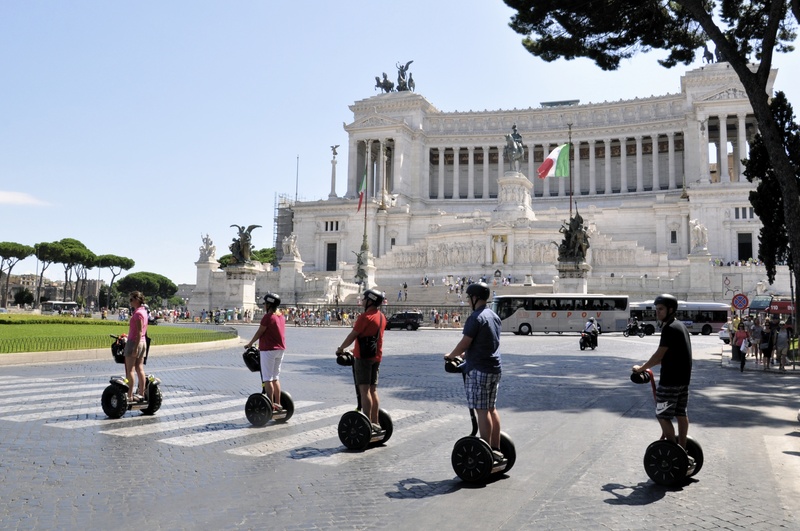 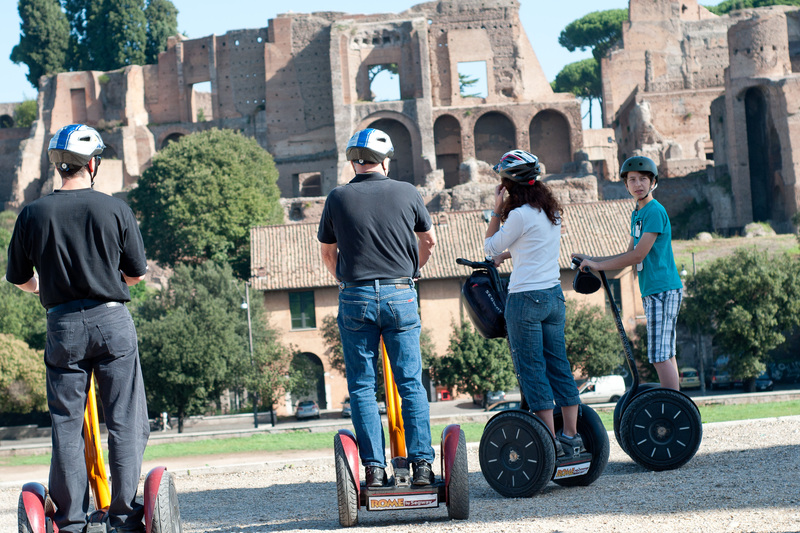 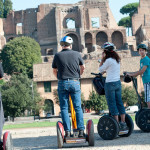 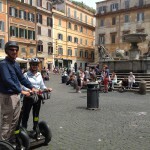 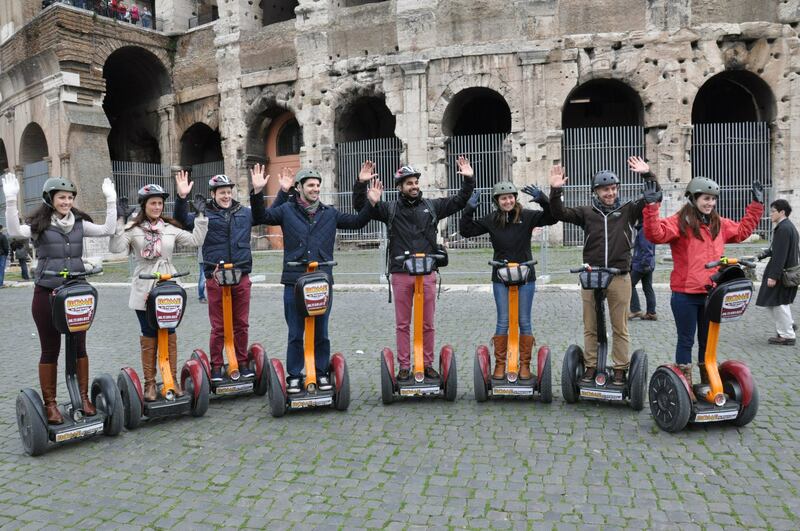 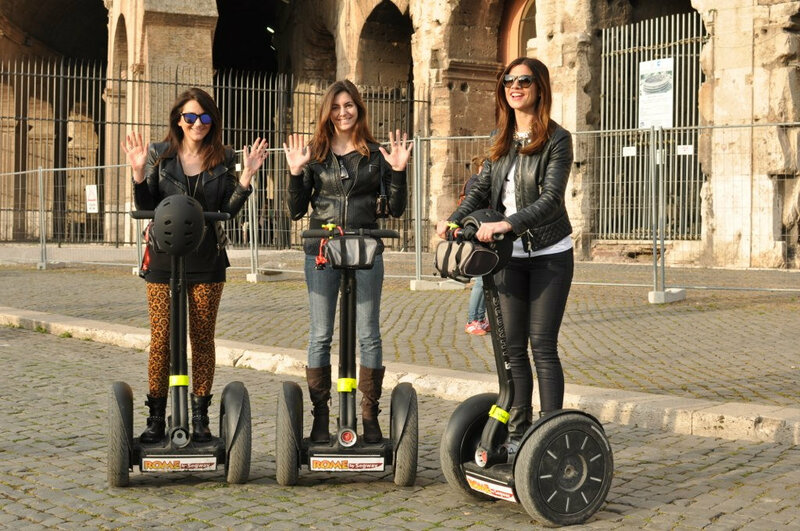 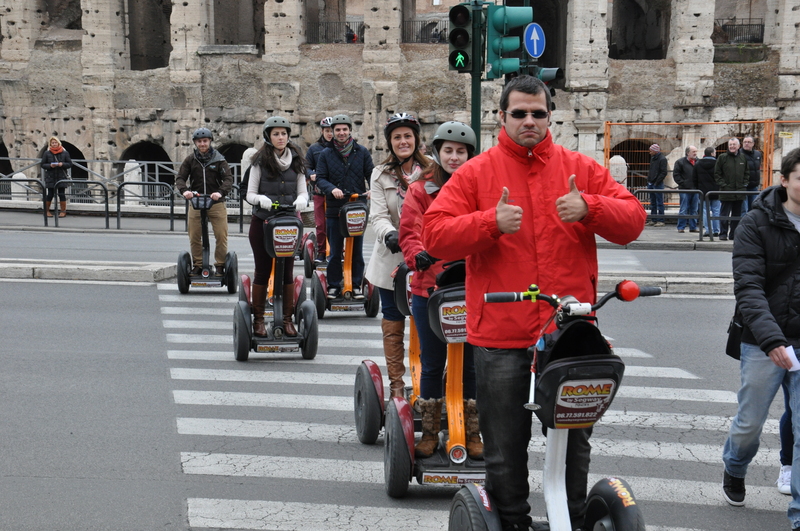 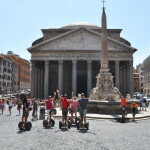 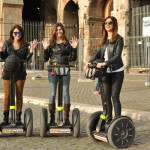 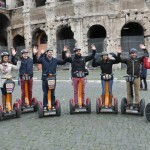 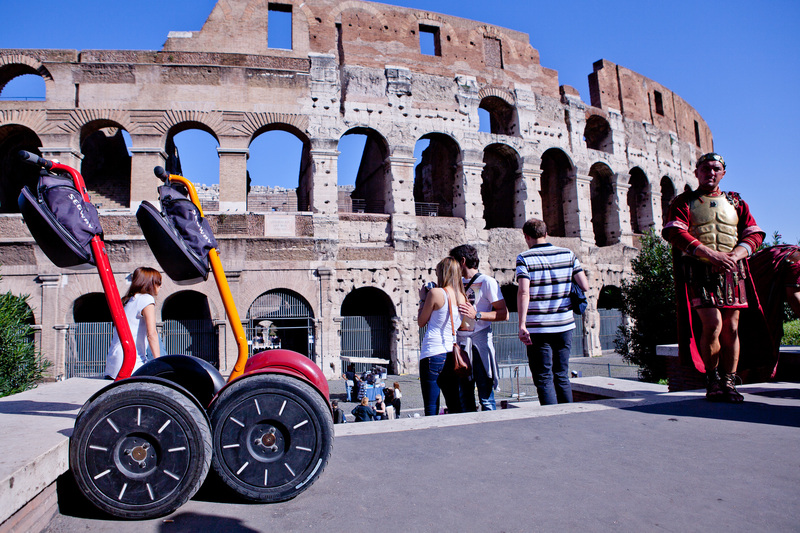 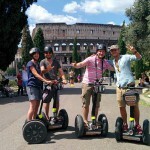 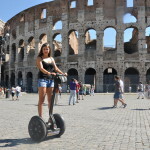 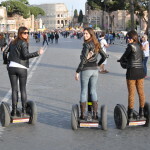 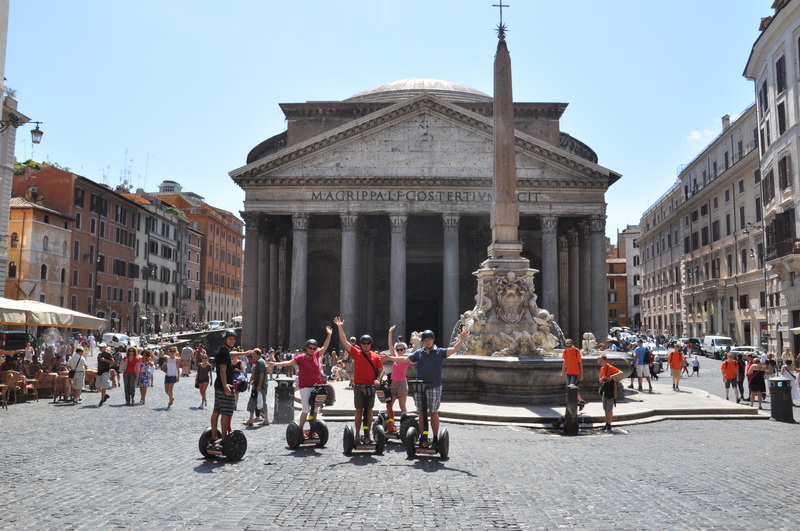 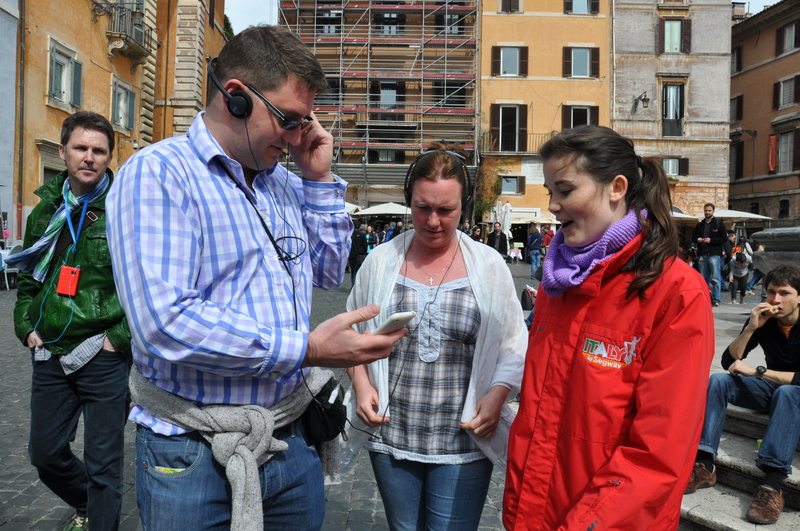 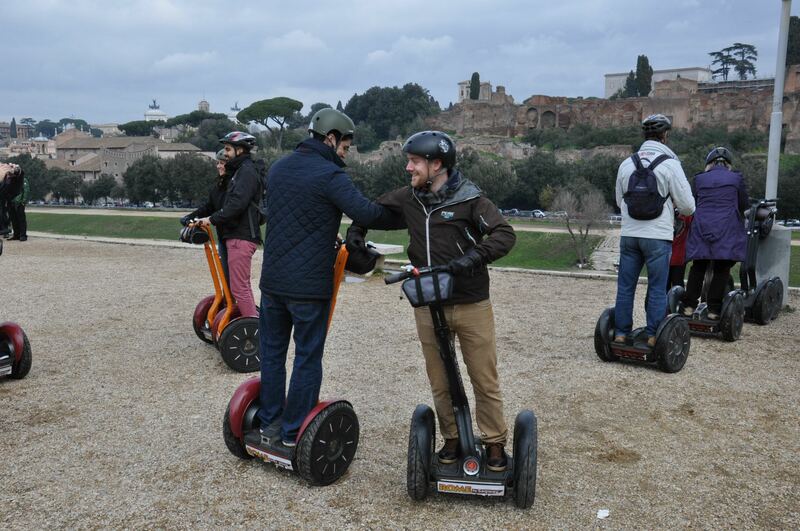 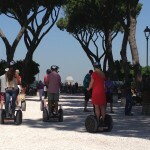 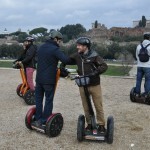 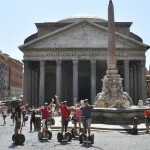 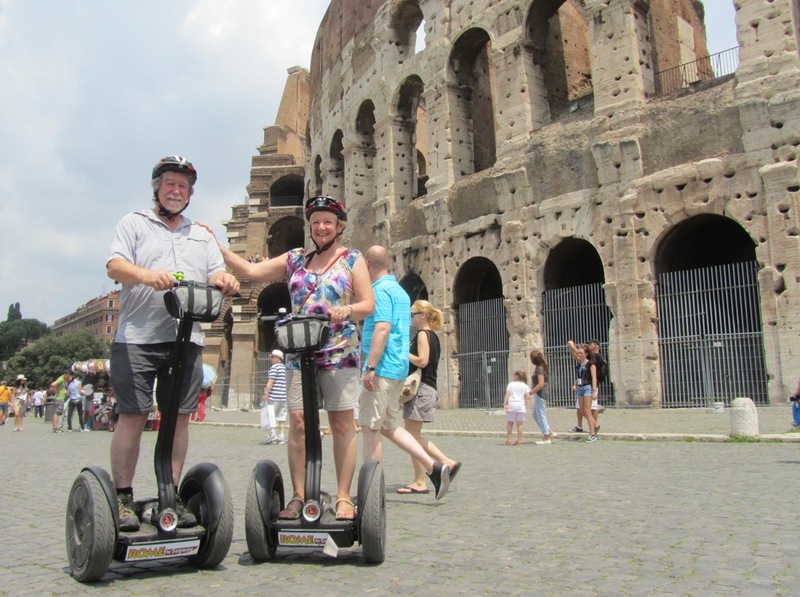 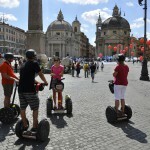 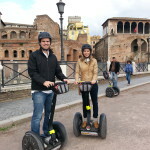 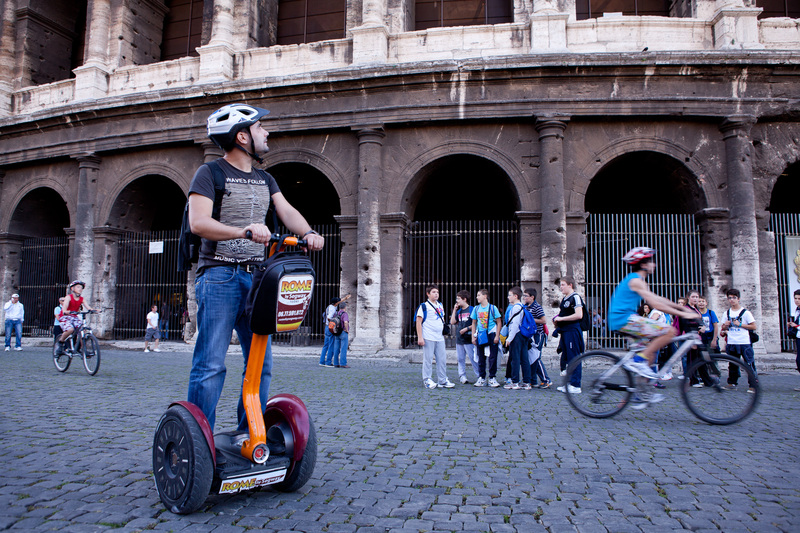 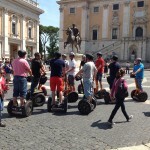 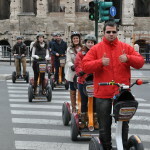 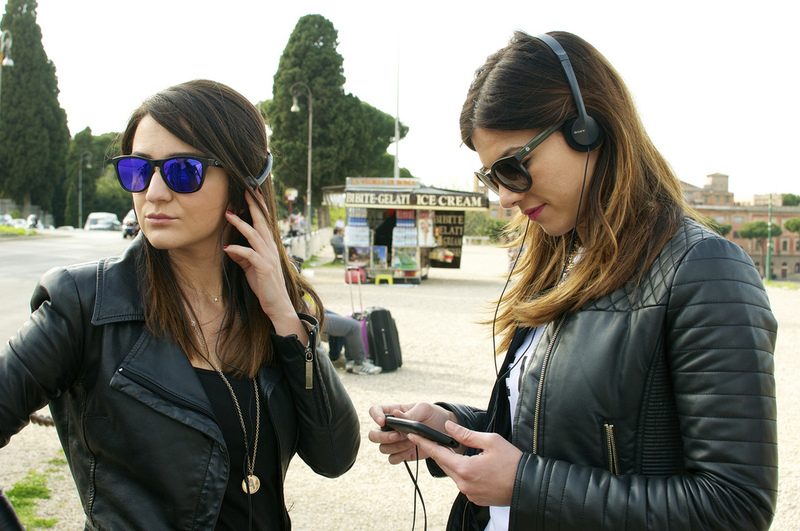 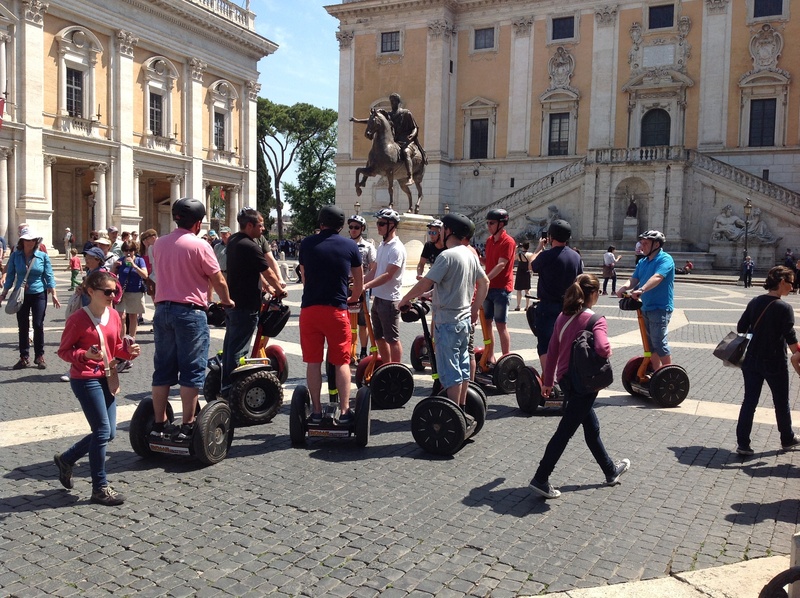 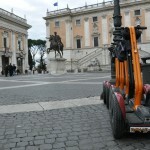 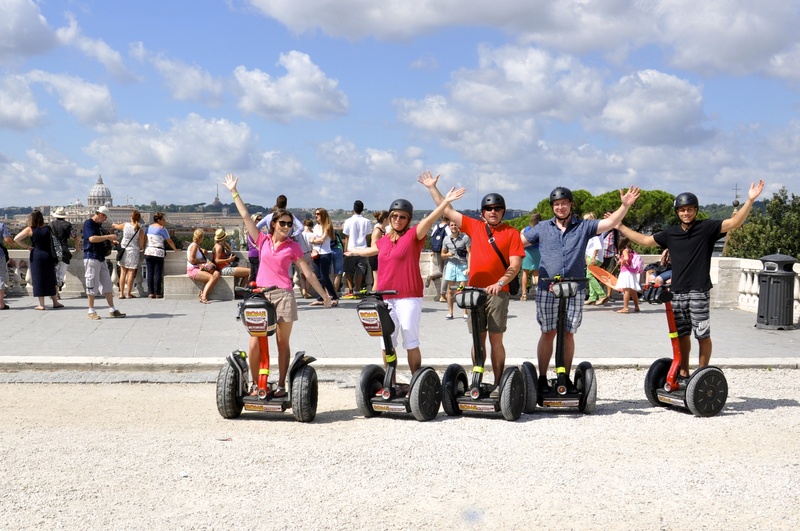 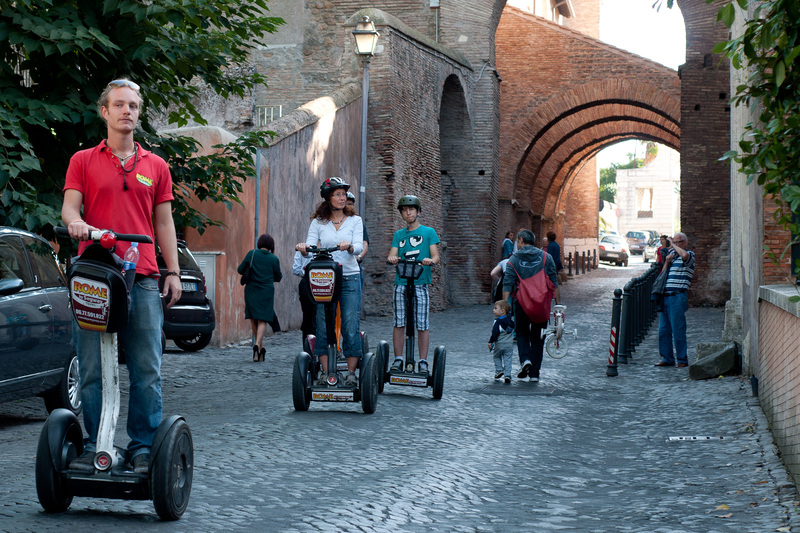 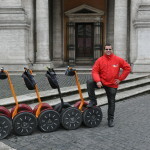 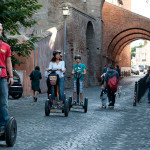 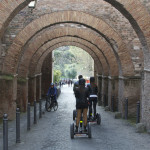 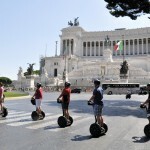 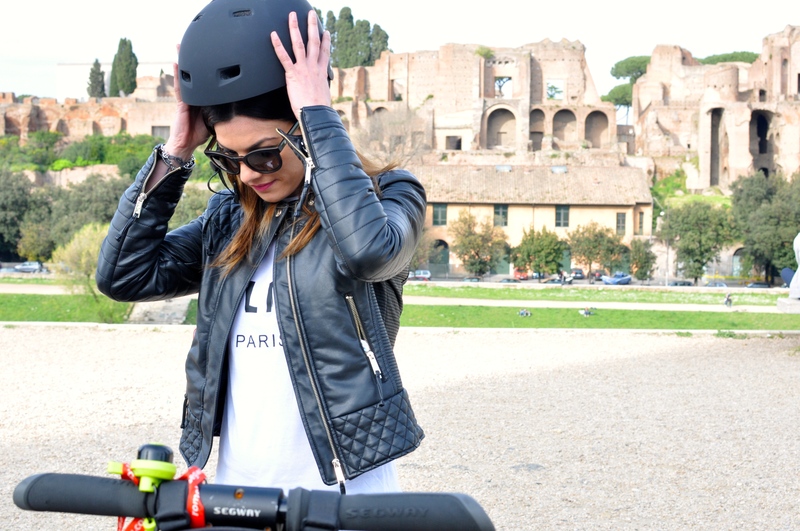 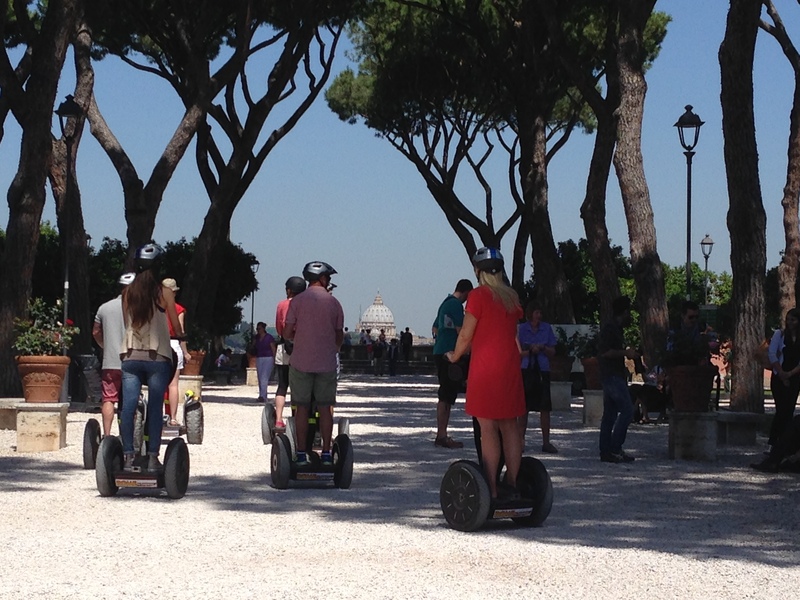 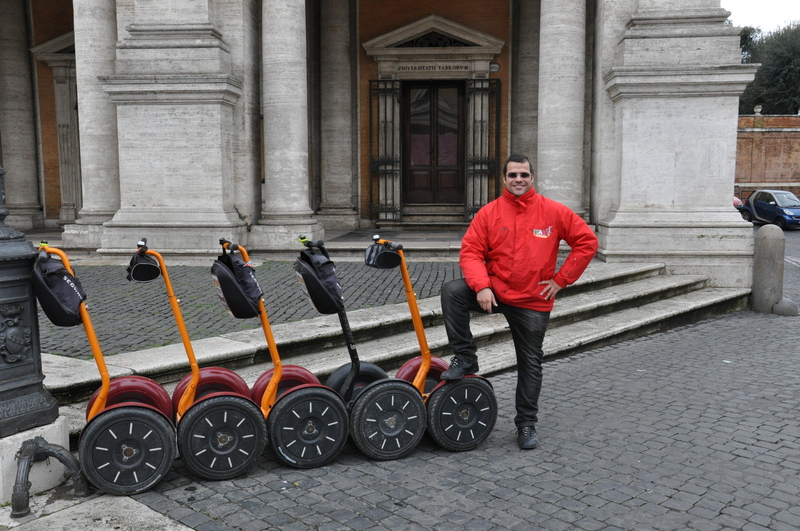 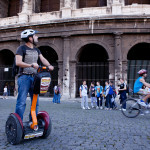 Now, with our Rome in One Day Segway Tour, you don’t have to miss out. 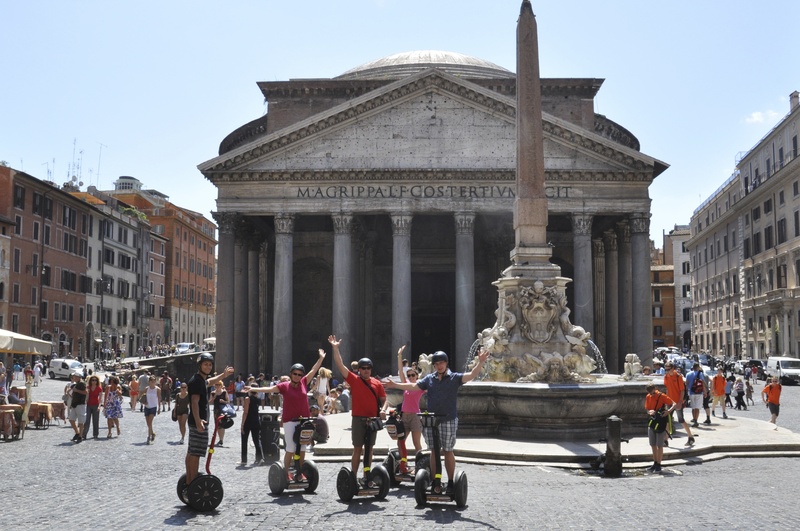 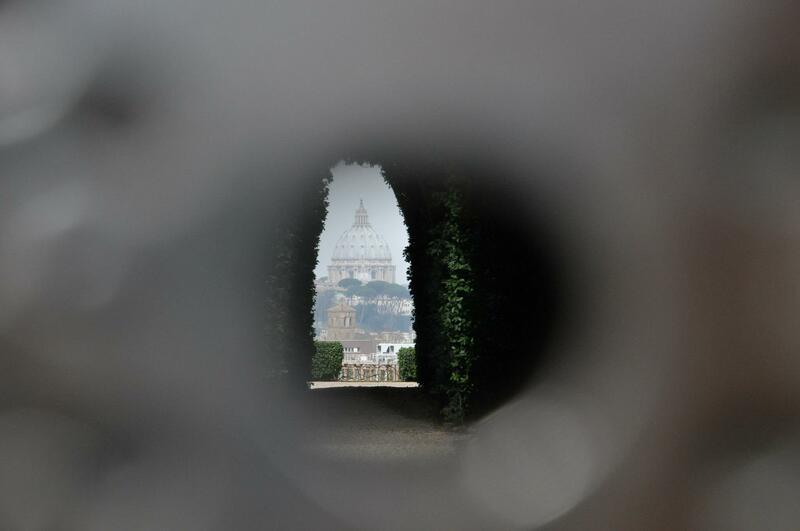 With this combination of our two most popular tours, the Ancient Express Segway Tour and Best of Rome Segway Tour, you’ll be able to ‘see it all’ and then some! 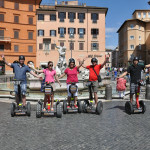 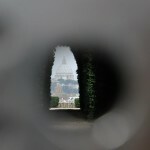 Sights covered include well-known spots such as the Trevi Fountain, Colosseum, Spanish Steps and Piazza Navona. 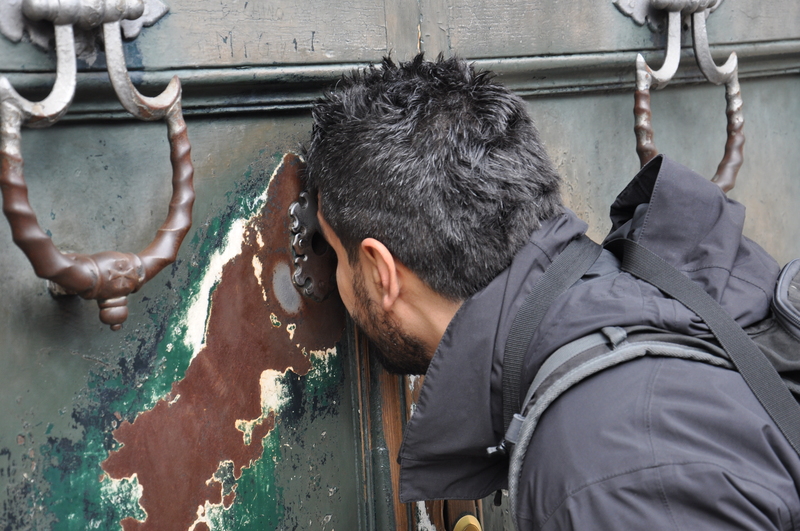 We’ll even have time to visit incredible hidden sights that most visitors miss out on. 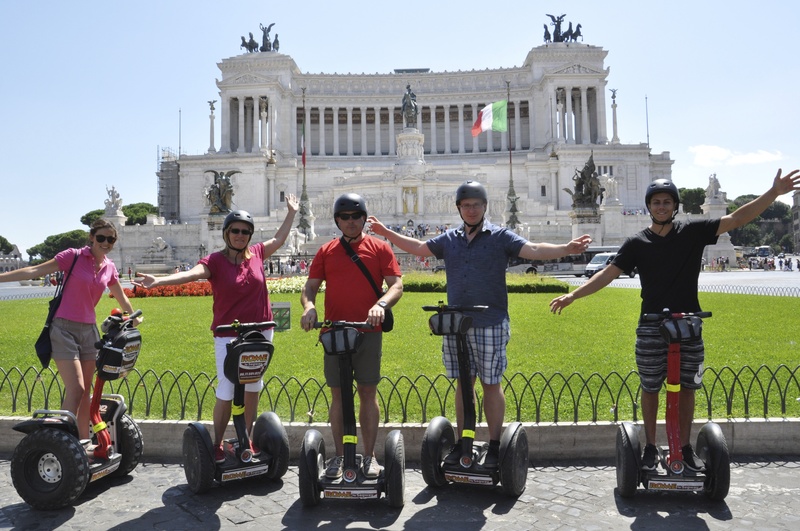 Top it off with a yummy lunch of local Roman dishes at a restaurant we’ve handpicked especially for our guests – and you have the perfect day in Rome. 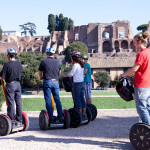 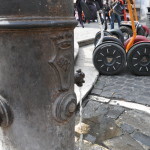 On the Best of Rome part of the tour we’ll zig-zag across the entirety of Rome’s beautiful historic center, exploring the piazzas, fountains, churches and monuments that make Rome one of the most beautiful cities in the world! 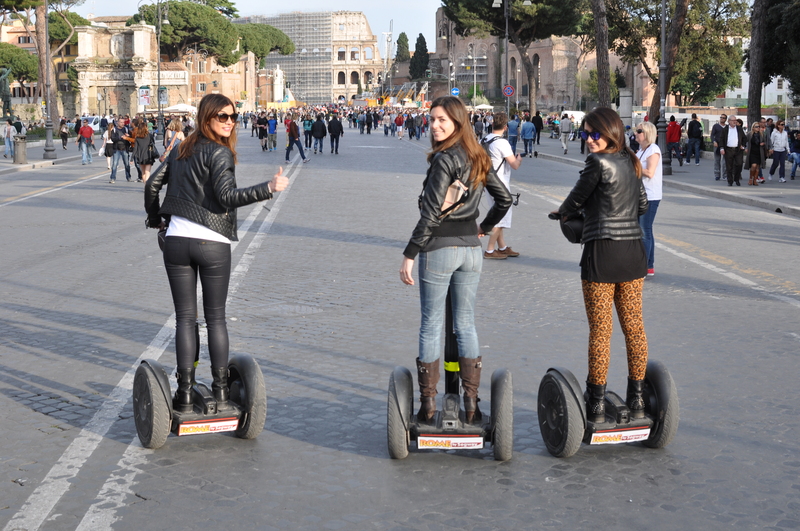 You’ll toss a coin (or three!) 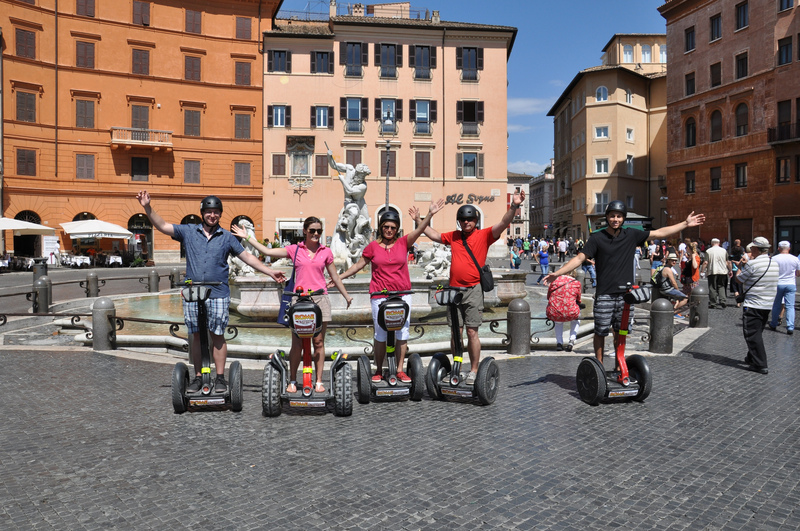 in the famous Trevi Fountain, guaranteeing your return to Rome… or more! 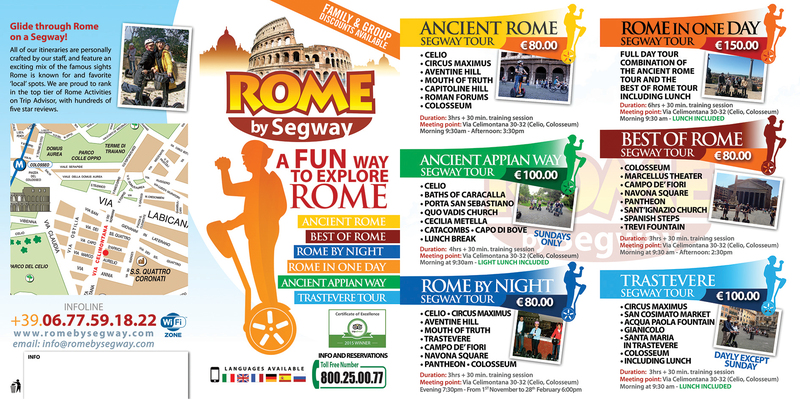 You’ll stand at the foot of the regal Spanish Steps, Europe’s widest staircase. 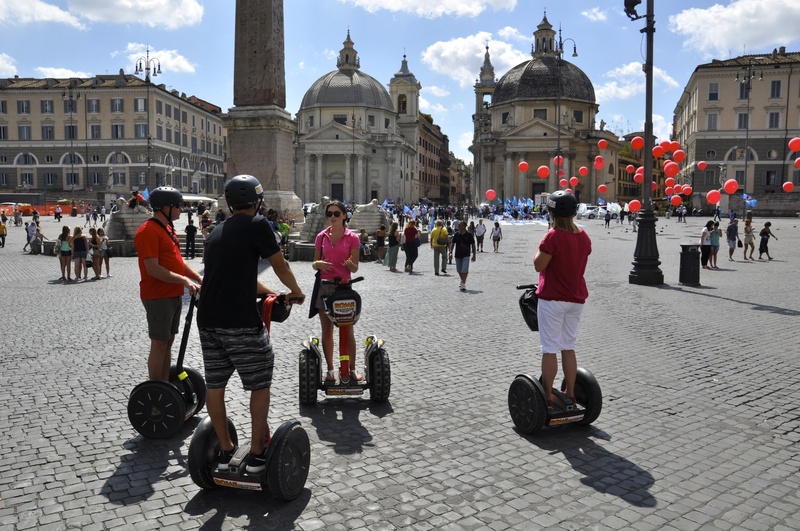 You’ll roll around Piazza Navona and enjoy the street artists, lively crowds and Bernini’s masterpiece: the Fountain of the Four Rivers. 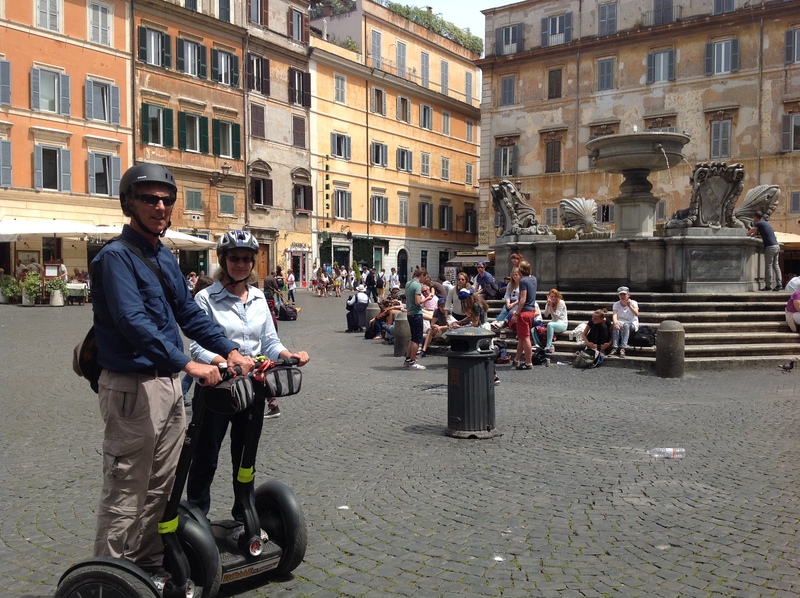 Other highlights include St. Ignatius church, Teatro Marcello (often mistaken for the Colosseum) and Campo de’ Fiori. 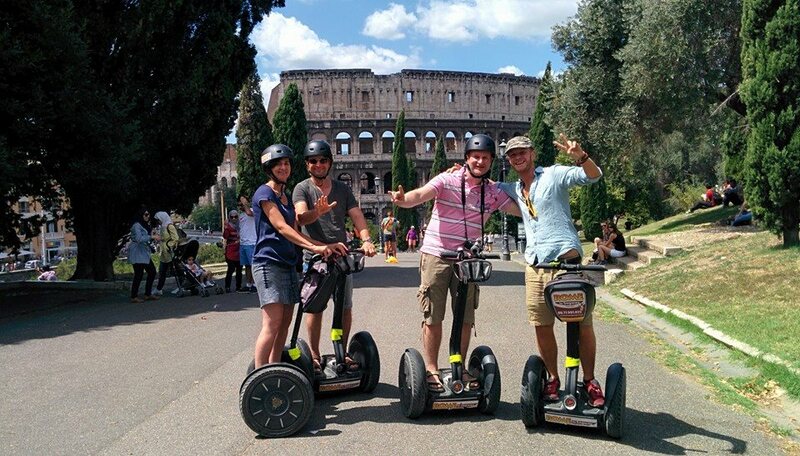 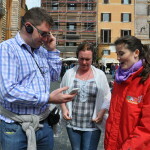 On the Ancient Rome Express Tour part of your day you’ll cover 2 hours of famous sights such as the Colosseum, Roman Forum, Circus Maximus and Capitoline Hill. 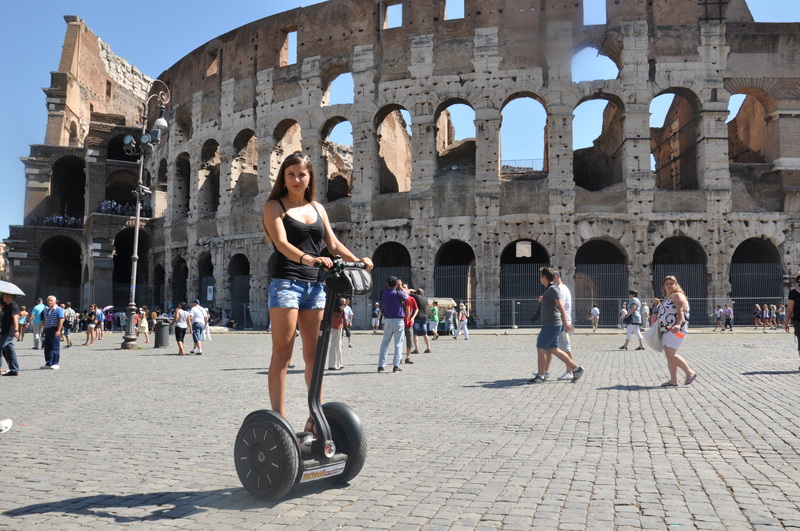 You’ll glide past crumbling ruins, columns, ancient temples and roads. 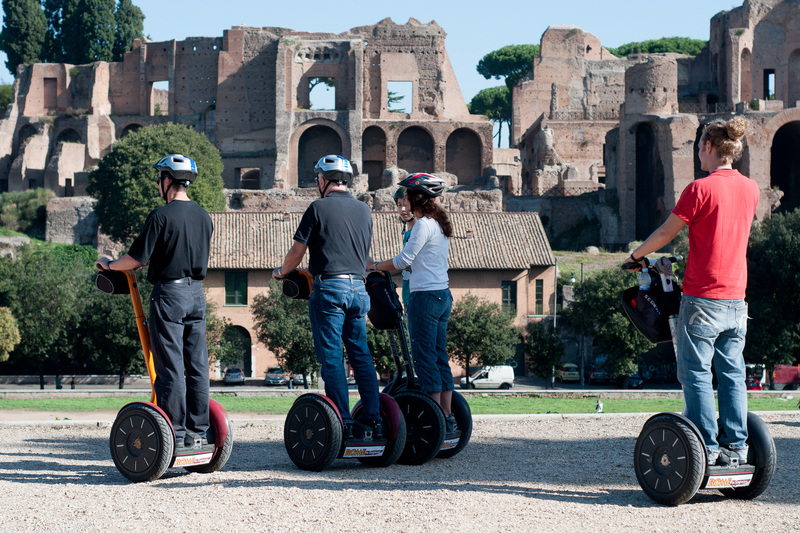 You’ll see all that remains of the chariot racetrack that once stood at Circo Massimo, at the foot of the Palatine hill. 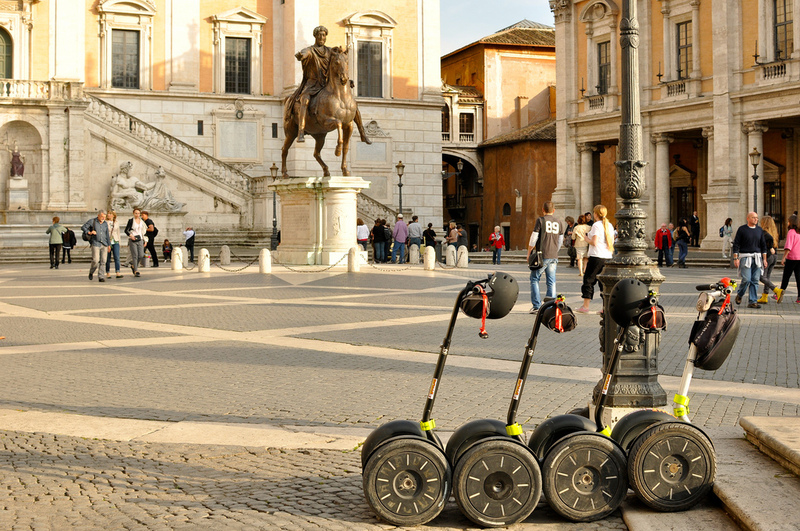 The word “chariot” takes on a brand new meaning as you race by on your modern Segway. 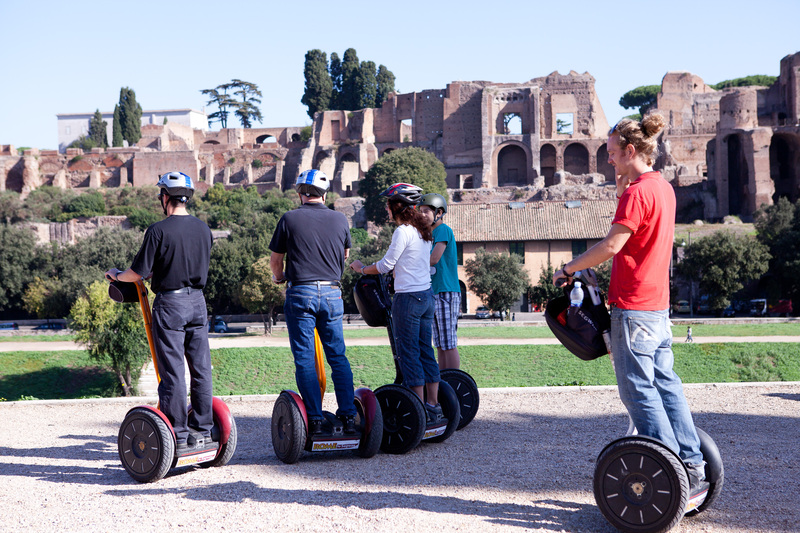 With the speed and ease of getting around by Segway, we’ll have plenty of time to cover the sights. 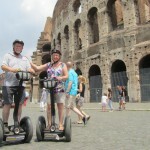 Between the morning and afternoon portions of the tour, you’ll enjoy a leisurely break for lunch. 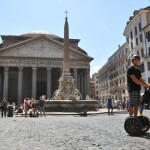 We’ve handpicked a local restaurant offering a menu of typical Roman dishes to enjoy – all included in your Rome in One Day Tour at no extra cost! 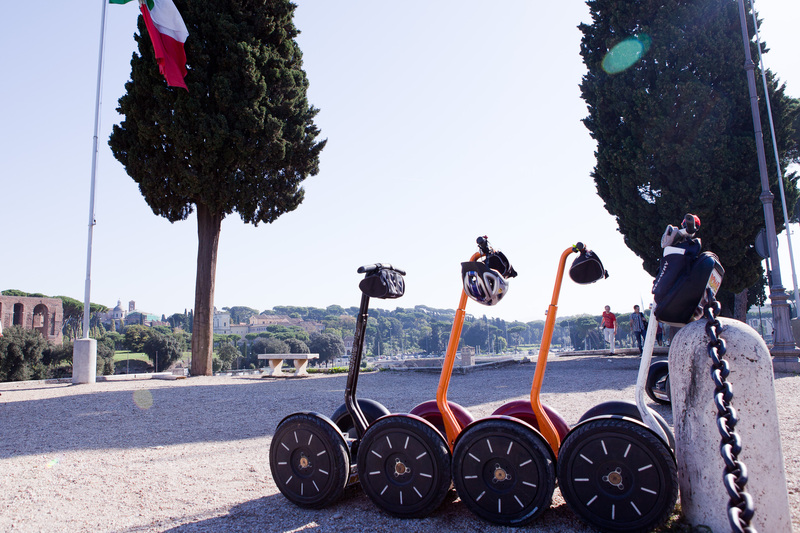 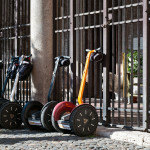 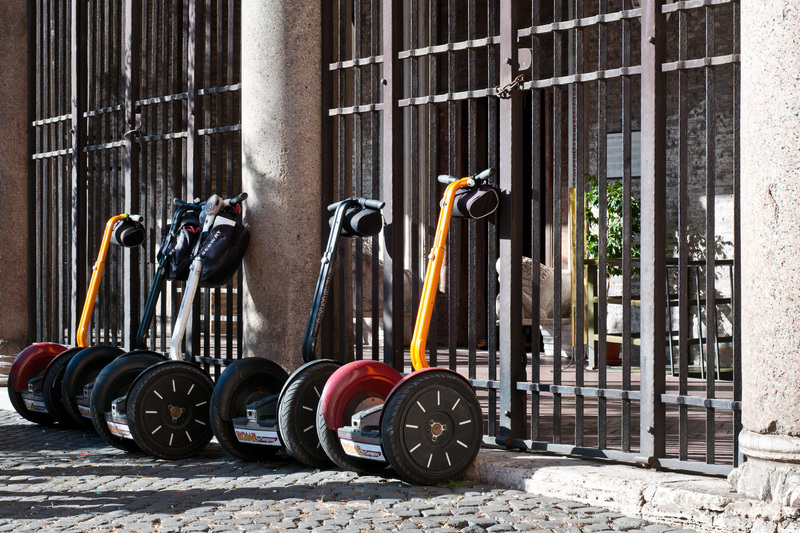 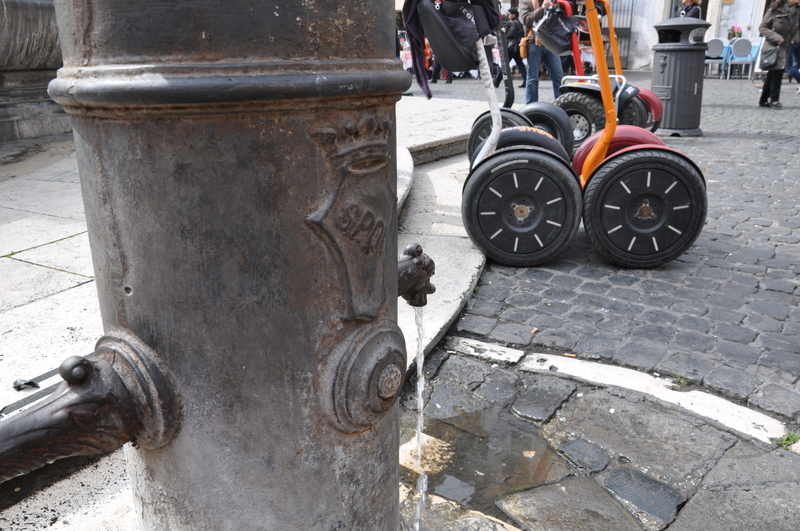 If you are looking to fit nearly three days worth of sights into one, without rushing and without succumbing to exhaustion – our eco-friendly Rome in One Day Tour by Segway is for you! 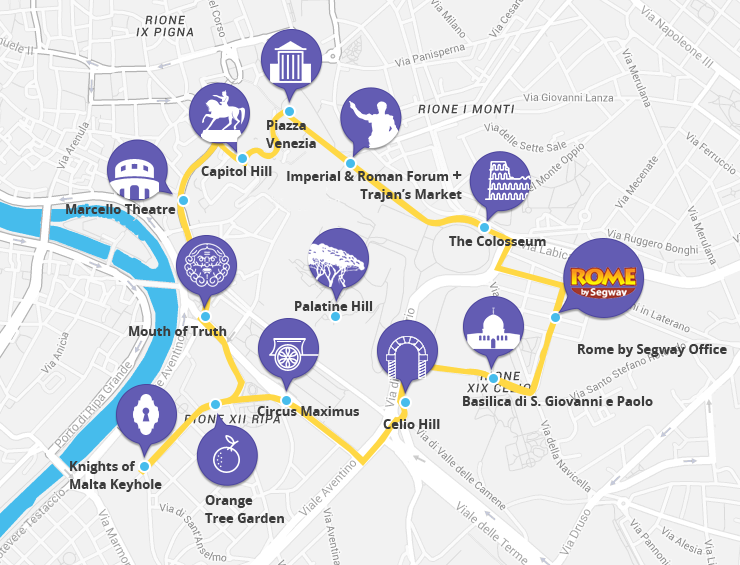 All tours depart from and end at our office near the Colosseum where a bathroom, free Wifi, water and caffé are available to all of our guests. 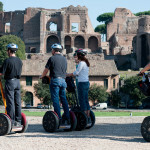 Combine our two most popular tours: Best of Rome by Segway and Ancient Express Rome Segway Tour for our very best value – saving off the combined price! 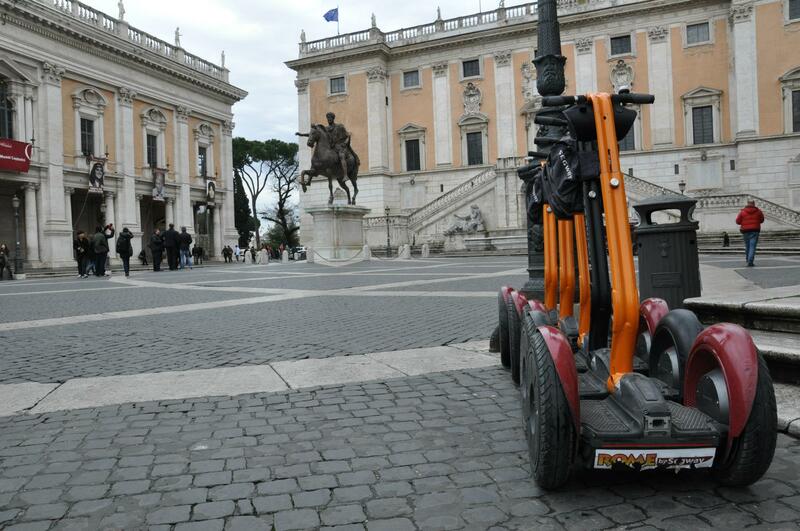 A delicious local lunch of Roman specialties is included at NO extra cost. 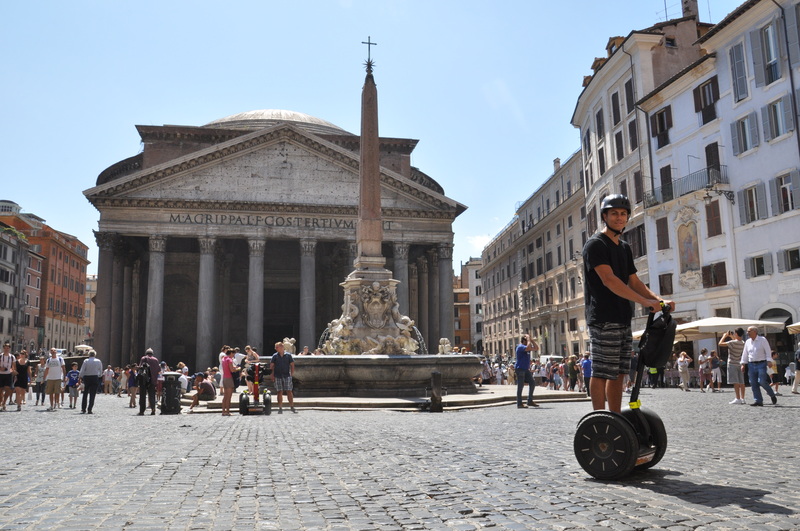 You’ll cover all of Rome’s most impressive sites such as the Colosseum, Trevi Fountain and Spanish Steps in one full day – an impossible feat without a Segway.